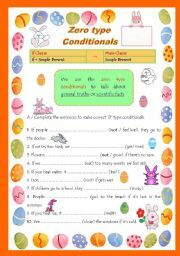 A brief introduction of the zero type conditional, presenting formation and use; exercise included. You can fully edit the worksheet. 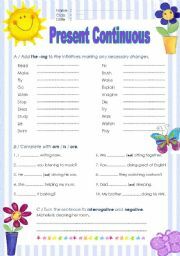 2 fully editable pages of practice on the formation and use of the Present Continuous. 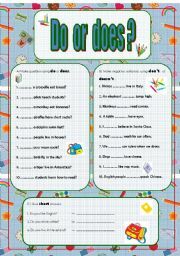 A brief practice on the use of the auxiliary verb "do" in the Interrogative, Negative and short answers of the Simple Present Tense. An award to further motivate students� involvement in class workings. Fully editable. "You did great this week Award", to encourage students� further involvement and participation. An easy practise of the indefinite article for beginners. B&W version included, fully editable. 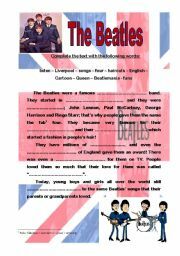 I made this worksheet to introduce the famous band to my young learners. It is a simple gap filling text. 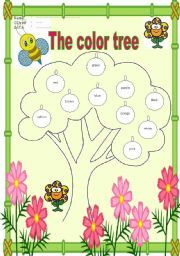 A simple fully editable worksheet to familiarize students with colors. 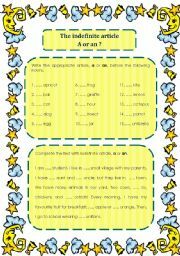 A simple practice on the plurals of nouns. Thanks Baiba for the lovely template.